Demons! Vampires! Time Travelers! A Giant Chicken? 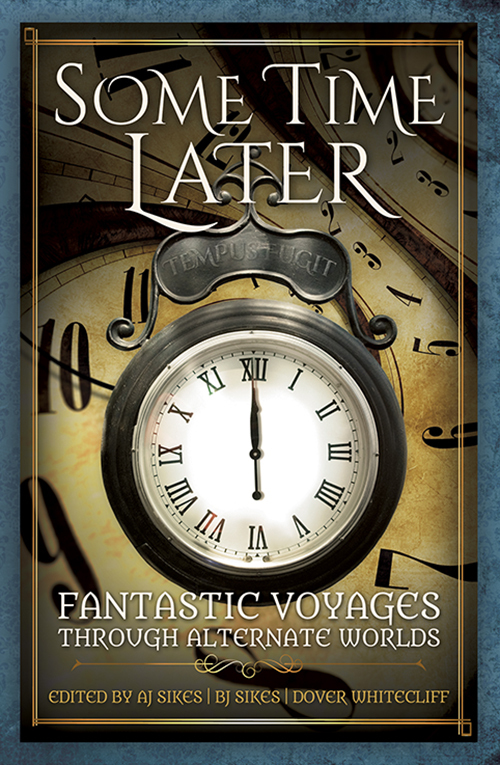 The creators of Twelve Hours Later and Thirty Days Later are back for another time-turning read with adventure in the offing, steam in the air, and tongue occasionally in cheek. Join us for new and fantastical stories from fifteen authors, including Harry Turtledove, Kirsten Weiss, Anthony Francis and T.E. MacArthur as we journey through time and genre. Take a tour of Jolly Olde London where madness may (or may not) prevail and things can get hairy after dark. Take an airship across the sea to the ancient city of Atlantis. Battle demons! Match wits with mystics! Try to resist the seductive power of chocolate or the magic of tiny mushrooms! Maybe even steal a treasure from a dragon. Get it at Amazon.com or Barnes and Noble, with more fine sellers coming soon!